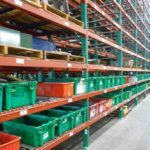 Get Those Long Bulky Items Off The Warehouse Floor! Cantilever rack is designed to easily store and retrieve products with varying weights, lengths, and sizes. 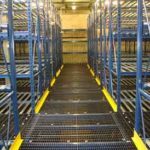 Cantilever systems do not require uprights, allowing for easy product accessibility and selectivity paired with high down-aisle density. 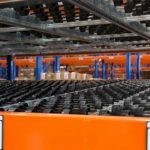 With a variety of arm options, cantilever systems can provide a full range of loading capabilities that can be customized to your storage application. 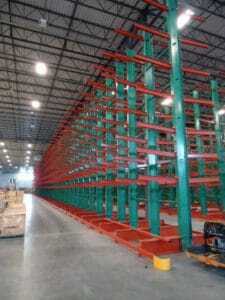 Cantilever rack is ideal for long or bulky items such as lumber, furniture, and plumbing because the system allows for easy product accessibility for heavy and lengthy items. 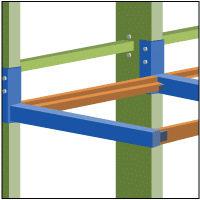 Read below to learn more on cantilever arm options, typical applications and other considerations. 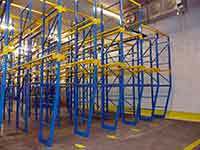 If you'd like to speak with a representative regarding cantilever rack, fill in the contact form on this page or call (800)595-0400. 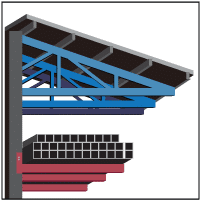 Roof Supports: Attaches to arms to accept stringers for roof structure. 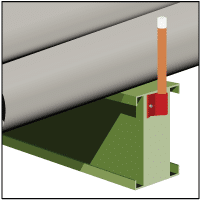 Deck Support Saddles: Attaches to arms. 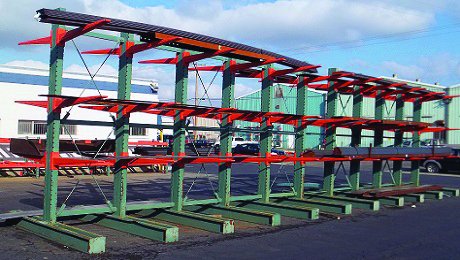 Used to support decking. 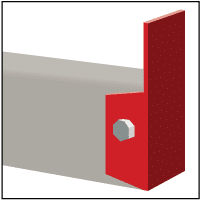 Welded-on End Lips: Welded to arms or base. 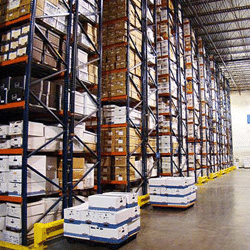 Many heights available. 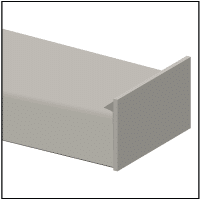 Bolted-on End Lips: Arms punched to accept optional removable end lip. 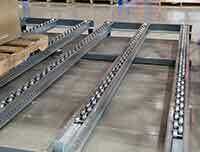 Core/Axle Saddles: Attaches to arms for accepting core/axle of rolled materials. 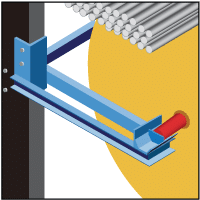 Removable Pipe End Stops: Attaches to arms or base, includes pipe brackets and plastic caps. 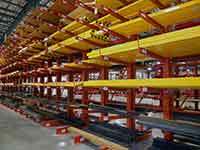 DO YOU NEED CANTILEVER RACK? 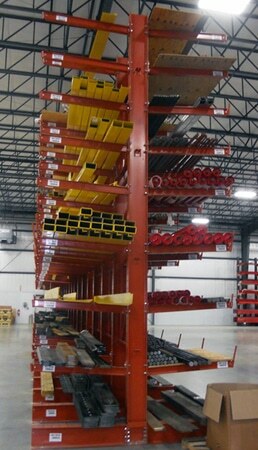 If you need a complete cantilever rack system, we can help. 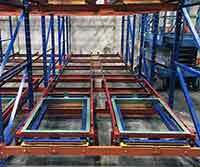 We've been creating high density cantilever storage systems for more than 50 years.